We became Cirrus Vision Service Center in October, the first in Europe! The Cirrus Vision Jet was the first civilian single-engine Jet to achieve certification with the FAA, it was EASA certified in May this year, and now we are authorized to service and maintain the jet. We are in the possessoin of a mock-up Vision Jet in on of our hangars. The first jets are being delivered in the U.S. now with over 600 reserved positions, 60 jets are estimated to come to Europe. 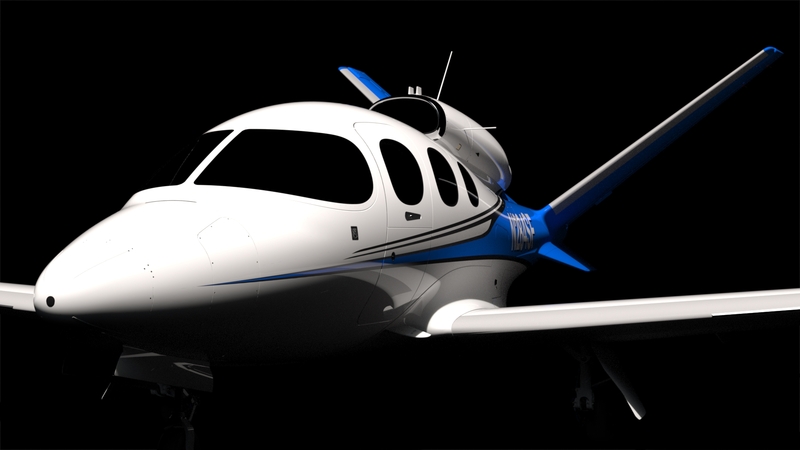 The Cirrus Vision Jet is the least expensive jet available on the market, and also possesses the CAPS ballistic parachute as a standard safety feature. We are in the possession of a full scale mock-up Vision Jet in one of our hangars. If you're interested in visiting us, do not hesitate to get in touch with us! Please call for more information regarding a Vision Jet Position. (*) The PDF document of this Vision SF50 position other will be made specially for you. Please be patient, it will take a couple of seconds to create.